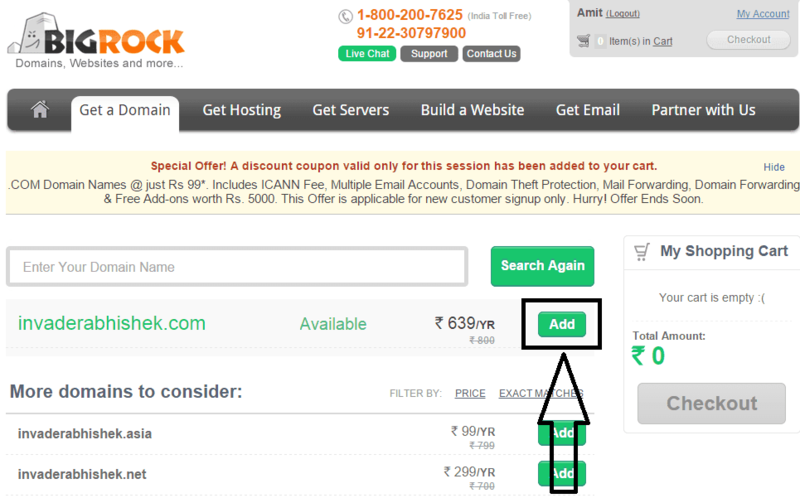 We are back again with another amazing domain coupon from Bigrock. Previously we have shared how to get free .COM domain but this time you have to pay just Rs. 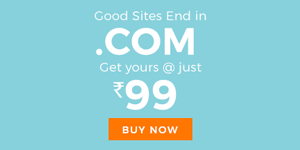 99 to get your own .COM domain the exciting part is that this coupon is valid only for new users So just create new account and enjoy the offer . Bigrock, being the top domain name provider in India and also amongst the top domain names provider in world, is offering cheapest deal for there new customers. Now on the top right corner you will find “My Account”. Click on that and Sign Up for new account. After complete registration login to your account. Now in the box enter your desired domain name which you want to buy. Now when you search for availability of that domain you will get above page shown. After you get available domain name click on “Add“, then click on “Checkout“. Now on the payment page first remove Privacy by clicking on cross (x). Now click on proceed to payment. Congrats for your new fresh domain !! Redemption are on a First-Come, First-Buy basis. Limited Stocks available!